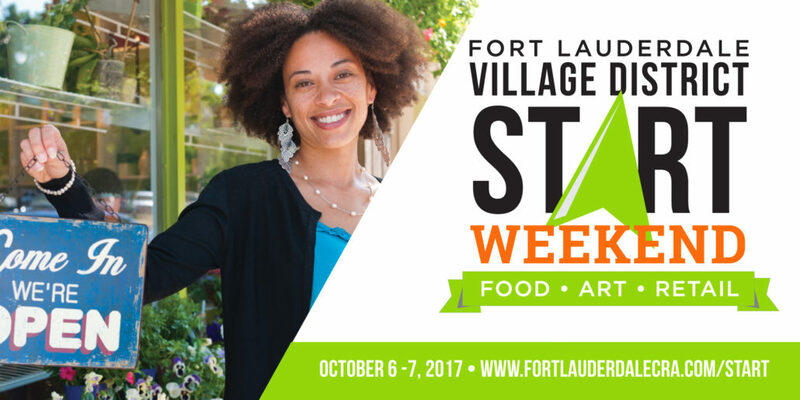 (Fort Lauderdale – October 2, 2017) – The City of Fort Lauderdale Northwest-Progresso-Flagler Community Redevelopment Agency (NPFCRA) will open its doors to entrepreneurs in search of a great place to live, work, and play at the Fort Lauderdale Village District START Weekend. START Weekend will be held October 6-7, 2017 at the Midtown Commerce Center, located at 1033 Sistrunk Boulevard #206, Fort Lauderdale, FL 33311. START Weekend is a two-day pitch competition that will provide the space, mentorship, insight and structure for entrepreneurs who are looking to jumpstart or restart an idea and turn it into a business. The three-targeted industries for this event are Food, Art and Retail. These business sectors are of great interest to the NPFCRA as well as the residents of the Fort Lauderdale Village District, which includes the Historic Sistrunk, Progresso Village, and Flagler Village neighborhoods. Participants will compete for up to $5,000 in grant funding to be used for NPRCRA approved services including marketing, professional services, signage, or 1-3 months’ rent for a property located within the CRA boundaries to name a few. Businesses must currently reside, expand, or relocate to the Fort Lauderdale Village District (NPRCRA area) to be eligible for the grant. 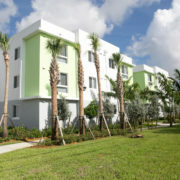 Winners of the competition will be required to complete the six-week Fort Lauderdale Village District START Training Institute facilitated by The Urban League of Broward County. START Training Institute is scheduled for October 18, 2017 through November 22, 2017 and will cover topics such as organizational management, financial management, marketing, access to capital and more. The NPFCRA has teamed up with the Urban League of Broward County to offer participants additional resources and funding opportunities upon completion of the Start Training Institute. Additionally, the NPFCRA will introduce the START Business Match Program, where property owners within the CRA boundaries will be matched with the winners of the competition who need office, retail, restaurant, or commercial space. The match program is aimed to assist property owners that have vacant spaces to acquire new tenants and moreover, attract and retain new businesses into the Fort Lauderdale Village District. The NPFCRA has several incentive programs in which property owners can work with the prospective tenants to apply for funds for façade improvements, interior improvements, and streetscape enhancements. START Weekend participants must already have their teams formed upon arrival. They will receive an information package to include pitch deck templates and other materials to use as guidance to properly present their ideas. The Urban League of Broward County will provide industry experts to coach and mentor the entrepreneurs as they prepare their final pitches. Final pitches will be presented to a panel of judges comprised of local investors, small business support agencies and members of the NPFCRA staff. Judges will identify viable businesses that could be established within the Fort Lauderdale Village District. Final Pitches will begin promptly at 3:00pm on Saturday. Participation in START Weekend is free. Learn more and register at http://fortlauderdalecra.com/ or contact The Mosaic Group at 561-651-9565 / NPFCRA at (954) 828-6130.